The little boy, Norbi is asleep and dreaming. He dreams himself to be in a world where in addition to real, flesh and blood people there are sad, oppressed rubbermen, who are treated as second- class citizens. The reason for this treatment is that the rubbermen lack certain basic abilities: a sense of smell, taste, hearing, and the power of speech. 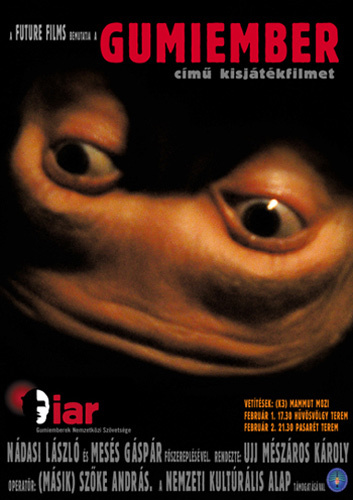 In Norbi’s dream, the audience becomes acquainted with a dreamy rubberman, who is punctured as the result of a nasty domestic accident in his home. Since the glue kit he has at home is insufficient for the job, he is forced to hurry to the nearby rubber shop, where he meets Norbi . . . I wrote the narration and the dialogue for this short film. Director: Károly Ujj Mészáros.